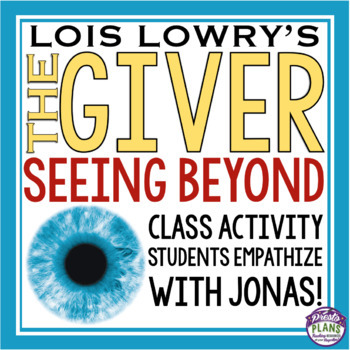 GIVER ACTIVITY: SEEING BEYOND: In The Giver by Lois Lowry, Jonas has the ability to see things the others cannot. 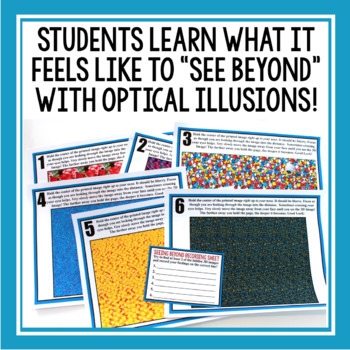 This fun, interactive class activity allows students to empathize with Jonas’ ability to see beyond. ♥ My students loved this activity!! 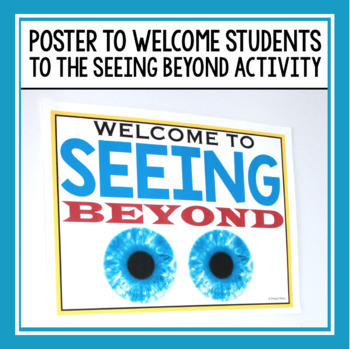 I had the Seeing Beyond Poster printed on heavy cardstock to help them hold up through several classes. What a hit!! Thanks! ♥ I love this book and now, your related activities! I have also purchased the Ceremony of 12 and the Memory Transmission Activities! My students were sooooo engaged! 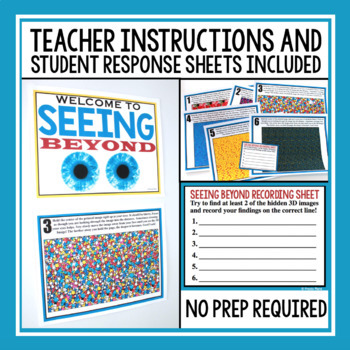 This type of teaching definitely fits my teaching styles and thus the type of activities that I love to find on TPT! Thank you sooo much! ♥ Wonderful activity! Really helped my students understand the concept of "seeing beyond." Thank you! SAVE BY PURCHASING THIS RESOURCE IN MY UNIT PLAN. CLICK BELOW!